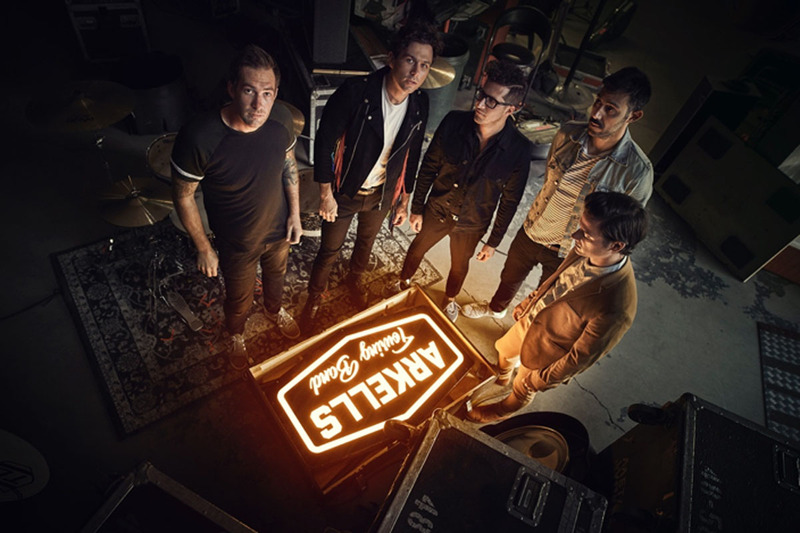 Ahead of their UK tour which kicks off next week, Canadian indie-rockers ARKELLS have shared a video for Hand Me Downs featuring former tour mate Frank Turner. The band took time out from recording their new album Rally Cry to tour the UK with Frank earlier in the year (read our review of that here), and found inspiration for Hand Me Downs while on the road, helping them finish the record in style. Frontman Max Kerman says:“Every night we got to watch Frank Turner and The Sleeping Souls create these collective moments of unity with the crowds. These sing-a-longs at these shows are kind of stunning – so much joy, so much heart. Frank’s contribution came when the band had him come by the studio when he was touring through Toronto in September. “It only made sense to cut another version with him singing,” says Max. Tickets for the shows are available from seetickets.com and the album Rally Cry is out now via Universal Music.